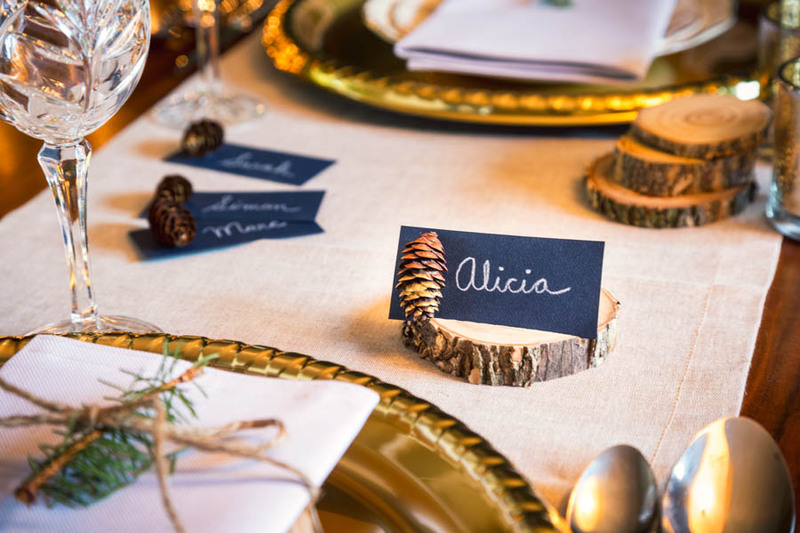 Prepare a special welcome for your guests: create these personalized place cards and holders that add a touch of rustic chic ̶ and a lot of warmth ̶ to your holiday table. 1. Cut log slices from a fallen branch or dead tree using a mitre saw. You can also get pre-cut pieces from a craft shop or hobby store. 2. Also with a mitre saw (manual or electric), cut a groove about 0.5 cm wide in the top third of the log slice. You can also go to a home improvement centre to get this done. 3. Cut rectangles about 5 cm x 10 cm in the cardboard. 4. 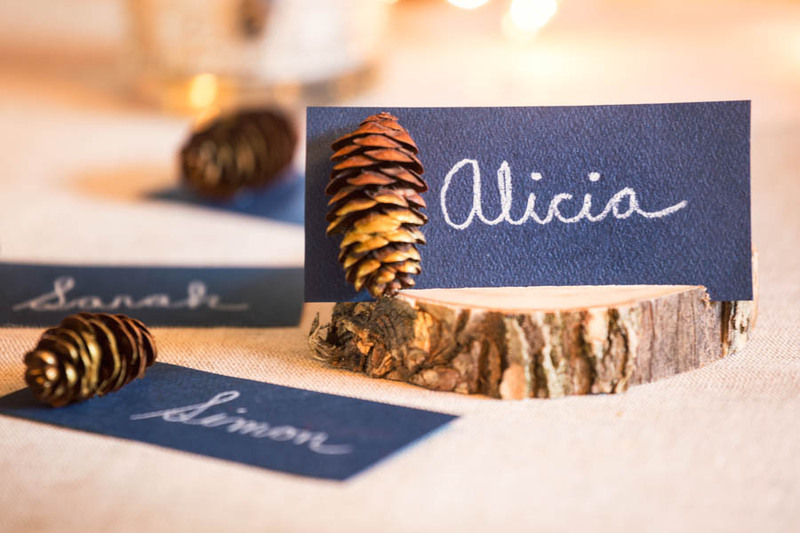 Using the white pencil, write the name of each guest on a card. 5. Paint half of each pine or fir cone with gold acrylic paint. Let dry for about 30 minutes. Apply a second coat, if necessary, and let dry. 6. Stick the pine or fir cones to the cards with hot glue and let dry for a few seconds while pressing firmly. 7. Position each card in the groove of a log slice, then place each in front of the appropriate place setting.